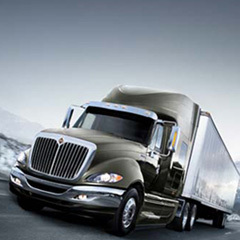 ProStar® is a driver’s truck. A more productive truck. 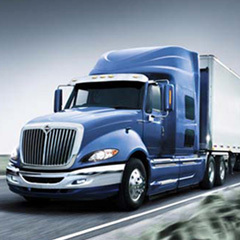 The most efficient and innovative Class 8 truck on the road. How did we achieve this? By talking to fleet managers and drivers like you about the challenges you face and the features you need. After all, you’re the ones who turn our trucks into your home offices, the ones who depend on us every day. The way we see it, setting the pace in the truck industry is all about working together. 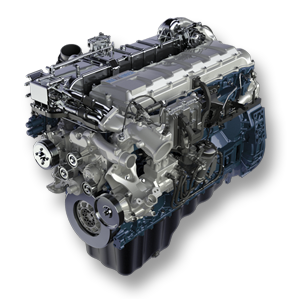 Whatever your business, a fully integrated, fully capable truck and engine is a must. 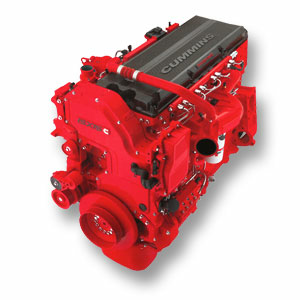 With a range of powerful engines to choose from, ProStar® delivers just that, plus maximized productivity. Day after day. Year after year. Mile after mile. With the goal of keeping your business running at its best. The Short hauls mean tight deadlines, so you can’t afford downtime truck that’s not up to the challenge. The ProStar® offers a range of horsepower and torque offerings for whatever load or terrain you can throw at it. 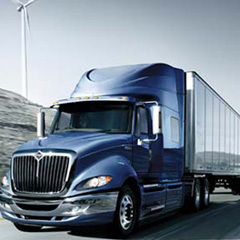 Not to mention superior fuel economy to keep your business running at its best. And with a wide-track front axle for a tighter turning radius and better maneuverability, you’ll find yourself more productive, and having an easier time staying that way. And with 6,000,000 miles of road testing under its wheels, rest assured the road won’t test you with anything your truck can’t handle. On the road for weeks or home at the end of the day, you need to know your truck is improving your bottom line. 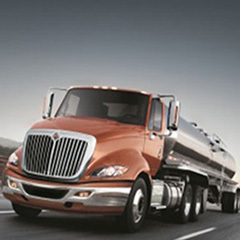 International® ProStar® is proven to maximize fuel efficiency while driving your business forward. With a patented roof design, wraparound windshield and sloped hood, ProStar® offers superior aerodynamic design and fuel efficiency. Nobody spends more time on the open road than you, and that means being able to rely on your truck 100%. 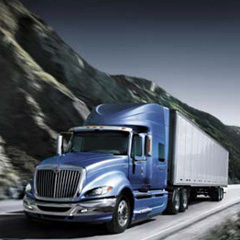 That’s why International is committed to getting you and your load there safely and efficiently. The ProStar® tractor’s aerodynamic design and lightweight options mean that even as the size of your load goes up, your level of safety and performance will never go down. With factory-installed roll-stability and traction control, you’ve got a truck ready for any driving condition. 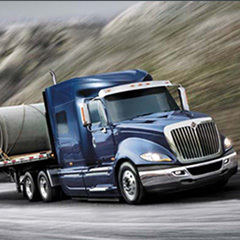 Add to that incomparable fuel economy and you might be wondering whether the ProStar® is too good to be true. When you’ve got this much riding on your frame, you should be confident that your truck is performing at its best. 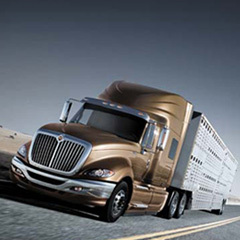 That’s why International is committed to keeping you riding strong from pick-up to drop-off. 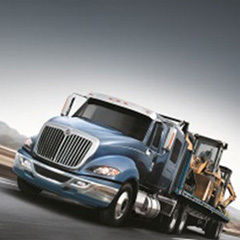 ProStar® is a driver’s truck. 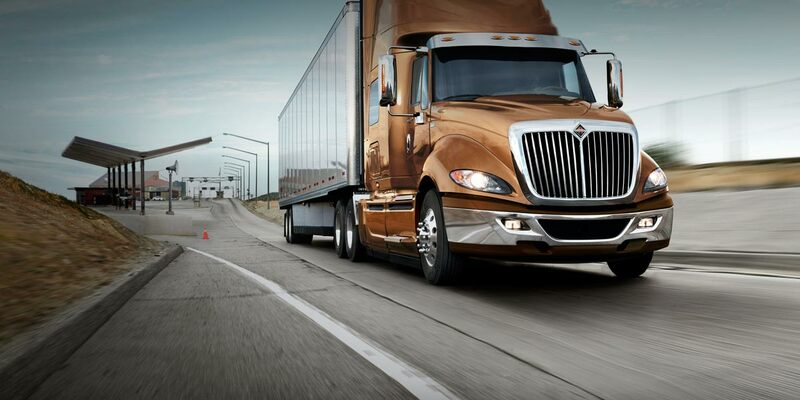 We built it to be the most productive, efficient and innovative Class 8 truck on the road. The design is focused on building your bottom line by focusing on aerodynamics, fluid economy and weight. Not to mention all of the driver comforts, like the quietest cab in its class and ergonomic seating and gauge cluster placement. All in all, ProStar® was designed from the ground up to help your business run at its best.